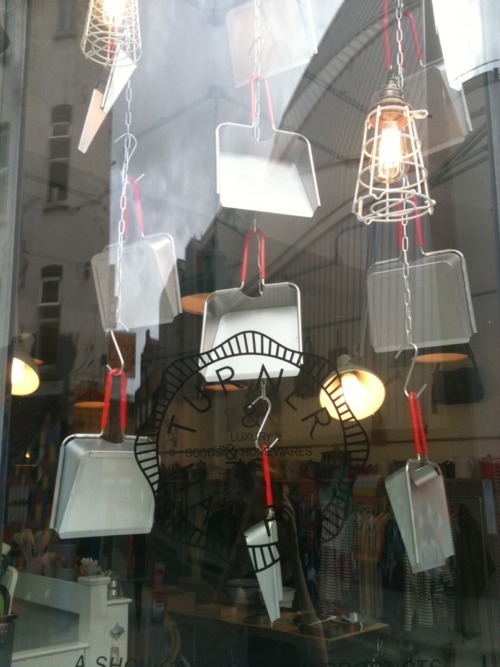 We are pleased to introduce the Turner and Harper range of Luxury Goods and Homewares. Turner and Harper is a British brand devoted to creating quality crafted products for the home. We create products which nod to tradition, balancing timeless aesthetics with considered material choices. At our core is a fascination with translating the small details that fill our daily lives into products which communicate their quality, function and place. 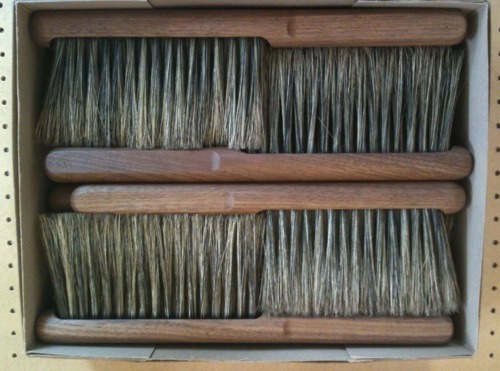 The Turner and Harper range of brushes and domestic tools represent a return to craft traditions and considered material selection. The quality of the woods and of the hog bristle, as well as the enameling on the bowls, make these an outstanding collection of products and, though you’d be tempted not to use them and to put them on display for all to see, they are functional products, designed to be used. Completely hand made, finished with a hard wearing stain proof oil. 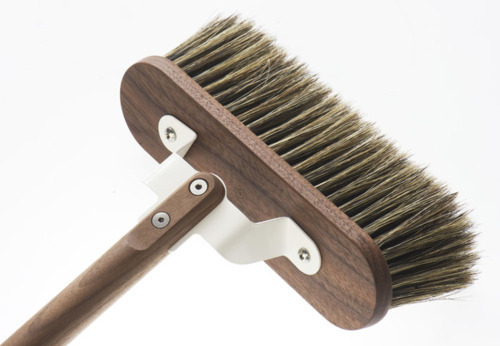 Bristled with soft hog hair that will collect fine dust with ease. 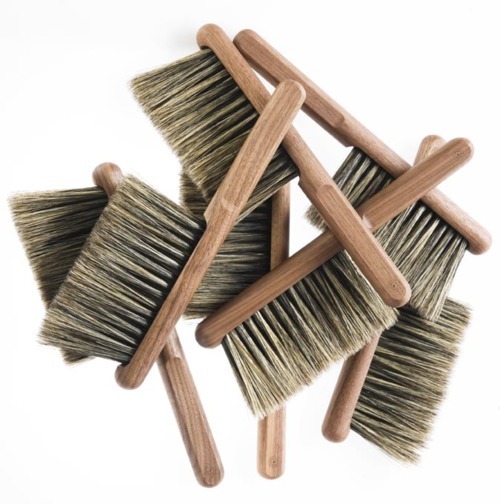 The bristle can also be washed to restore it as use takes its toll. Materials: Black Walnut, Pure Hog Bristle. 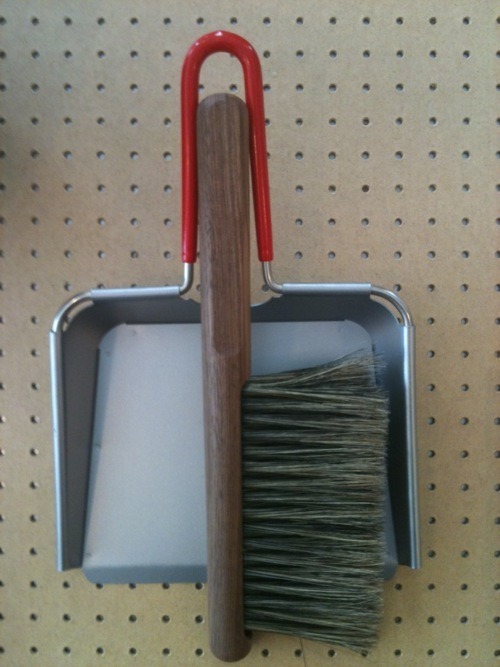 A hard wearing stiff bristled brush, suited to brushing clothes, scrubbing vegetables or as a nail brush. 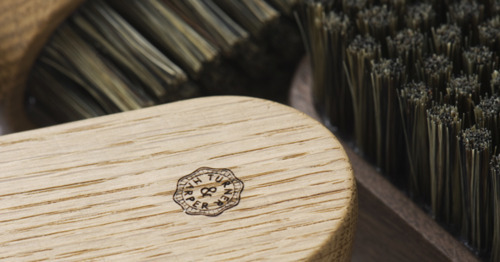 Hand machined and finished with a waterproof oil; the unique quality of each piece is accentuated by the differing grain in the carefully selected wood. 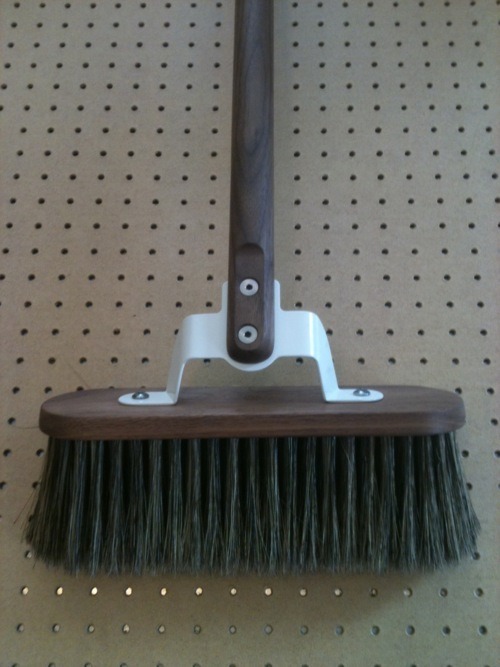 Materials: Oak, Black Walnut, Pure Hog Bristle. 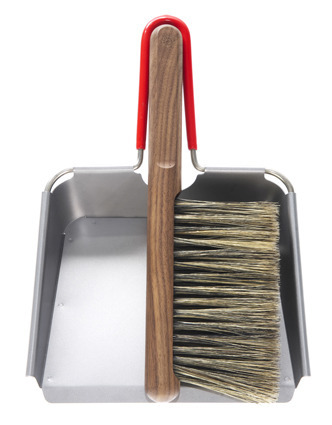 Brushed stainless steel dustpan with a rubber coated handle to grip the brush. 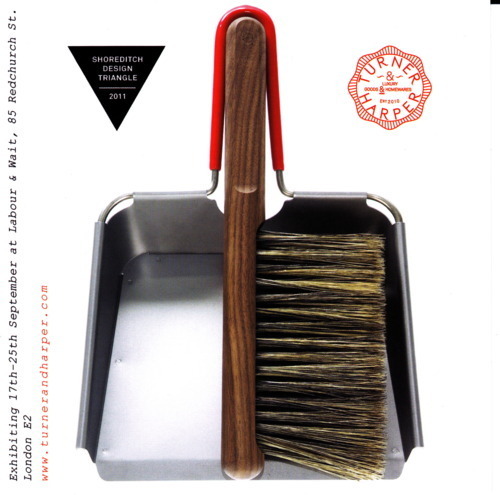 The metal is shaped with a hyde mallet, carefully assembled by hand and finished with refined industrial processes. Materials: Stainless Steel, PVC Rubber. 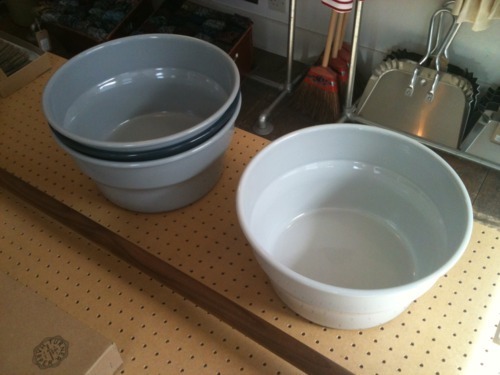 A vitreous enamel basin with tall sides that lend themselves to carrying water without spillage. The kink in the sides serves to make holding a full, heavy vessel more comfortable, while the unique properties of enamel result in a very hard wearing finish which is inert to chemicals. The steel is cold formed in a spinning process which hardens the material, resulting in a strong, durable product. 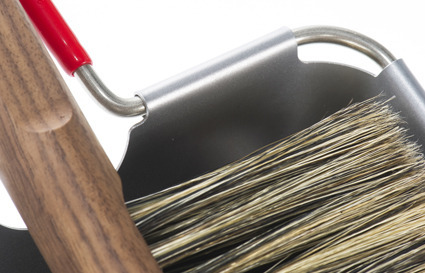 A soft hog bristle broom ideally suited for use on tiled and wooden floors. 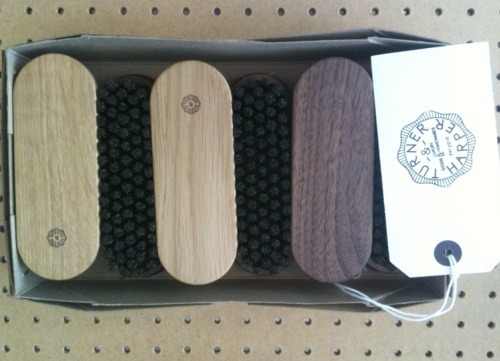 The wood is selected, machined and finished by hand, giving a unique character to each piece. 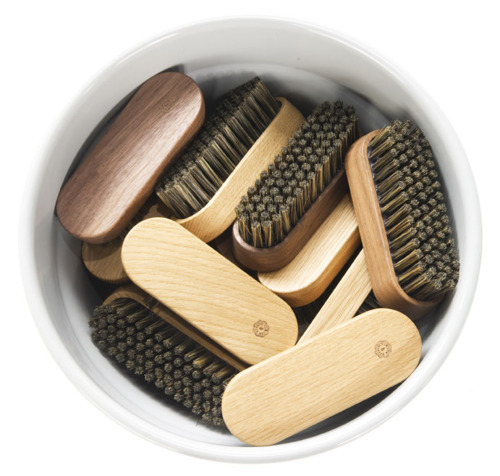 Supplied with a small hook to aid storage and prolong the life of the bristle. Bespoke stainless steel bolts fix the handle to the brush head, employing skills usually reserved for restoration of vintage motorcycles. By bolting the elements together, the connection is strengthened, allowing for any maintenance that may be required with time and use. Materials: Black Walnut, Pure Hog Bristle, Powder Coated Steel, Bespoke Stainless Steel Fixings. 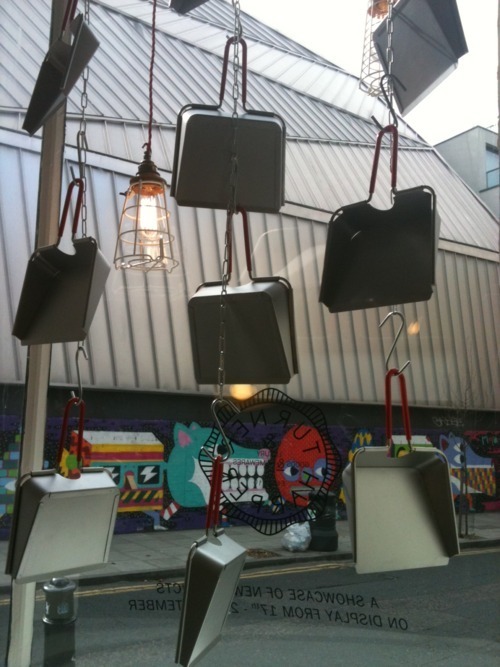 Turner and Harper is being launched exclusively through Labour and Wait during London Design Week. As part of this launch, and as part of Shoreditch Design Triangle, our Redchurch Street store will be opening late on Tuesday 20th September, when designer Tom Harper will be in store to introduce his range of products.